The first summer Braden was old enough to slip on his trusty Crocs he was two and a half. He put them on the right feet over 90% of the time and I thought I had a boy genius. Fast forward to next summer and suddenly over 90% of the time his shoes were on the wrong feet. No matter how I tried to explain it to him, it just wasn’t sinking in. Then I had a stroke of genius and knew I needed to have something visual for him to learn, and that’s where this easy tutorial comes from. 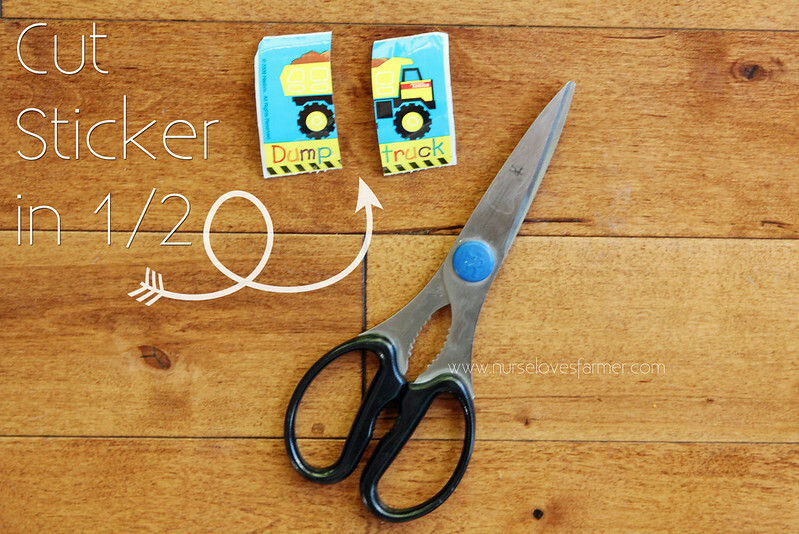 All you need are shoes, a big sticker, & scissors! It works! It really works! Don’t mind the poor-quality pictures…I had a busy baby who was stealing shoes thinking he was the funniest guy ever…so I ran to different lighting in our dining room to snap the last picture…hence why it looks so different! I think this works well with a big sticker like this with one object on it so it fits together like a nice puzzle piece. I hope this works for your kid(s) as well as it did mine! Love, love this idea! Thank you! That's a cute idea! My sons have had that issue in the past, but not too often. If the Lord blesses us with a third child, I hope I'll remember this tip! Cute!!! Wow what a good idea! Great idea! 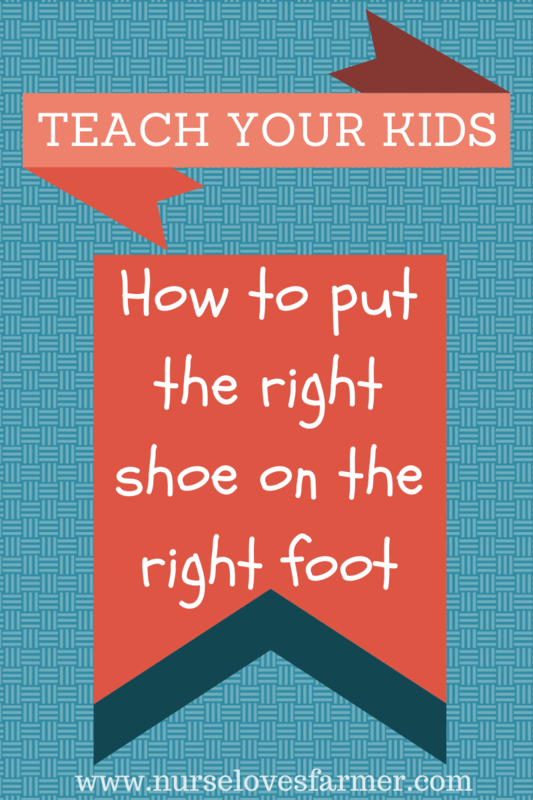 Believe it or not I didn't have to teach either of my kiddos how to put their shoes on the correct feet. 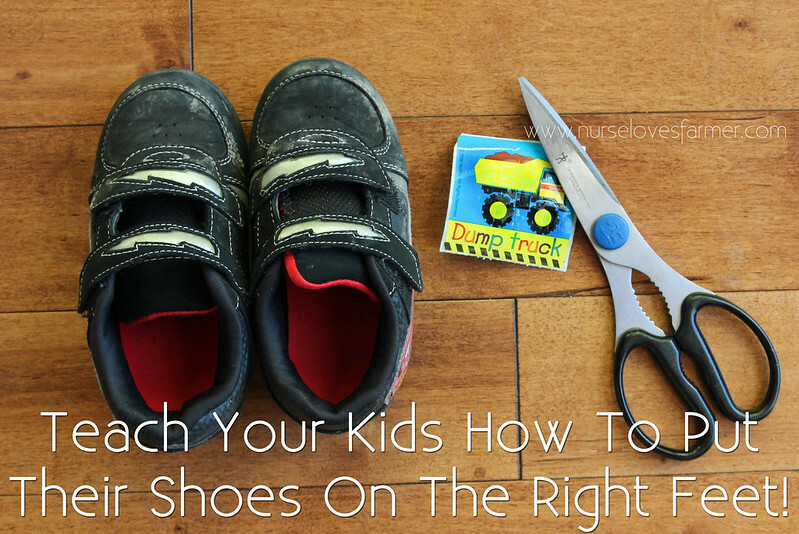 When my son was 2 years old he had a pair of Nike Sunburst sandals (that we absolutely loved!) that somehow he ALWAYS without fail slipped onto the correct feet. We had friends who commented a few times when they watched him for us that he put them on correctly all by himself. After these shoes we never again had an issue. 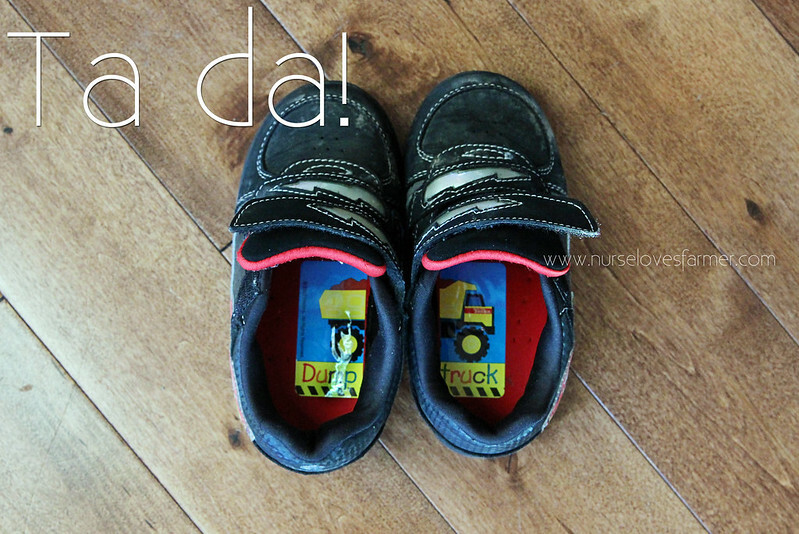 We kept them and used them for my daughter when she was old enough (about 2 1/2 – 3) to wear them and lo and behold the child who never put her shoes on the correct feet ALWAYS had them on the incorrect feet suddenly started doing it correctly too! And never again put her other shoes on the right feet either. Crazy huh? I don't know what it was about those sandals. Oh and believe it or not, now that I think about it, we gave them to my nephew when he was 3 and he also put them on the correct feet. I just remembered that because I told my SIL that they were "magic shoes" and she laughed at me until she realized it was true. Too bad Nike no longer sells that sandal any more. They were great and lasted so long. My recent post Whoa January! Slow Down a Bit, Will Ya? Now do you have a trick for getting them to put their underwear on the right way and not backwards??? My recent post 14 Weeks. Wait, WHAT? that is an awesome idea. What a great way for them to learn!